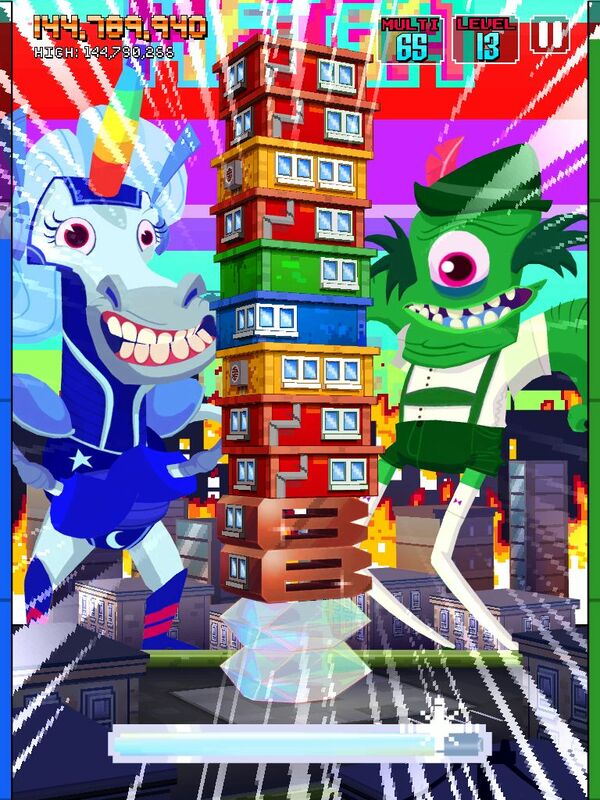 This week’s app of the week is Monsters Ate My Condo, a game from Adult Swim for iOS and Android. The game is simple – various monsters want feeding, and you do that by feeding them apartments. If you make a chain of 3 or more condos of the same colour, you get a shiny bronze combo condo, and then you gradually get all the way up to diamonds. Feeding shiny condos to the monsters activates special powers, and the game ends when a monster is neglected and goes on a rampage or your tower block falls over. Add in some seizure-inducing colours, wacky animation, a blue unicorn that vomits rainbows and a fat lady that sings when the game is over, and you have yourself a ridiculously addictive game.